You’d think getting sent to Turning Pines Wilderness Camp for a month-long rehabilitation “retreat” and being forced to re-live it in this journal would be the worst thing that’s ever happened to me. You’d be wrong. But there’s this guy here. Ben. And the more I swear he won’t—he can’t—the deeper under my skin he’s getting. After the thing that happened, I promised I’d never fall for another boy’s lies. And yet I can’t help but wonder…what if? 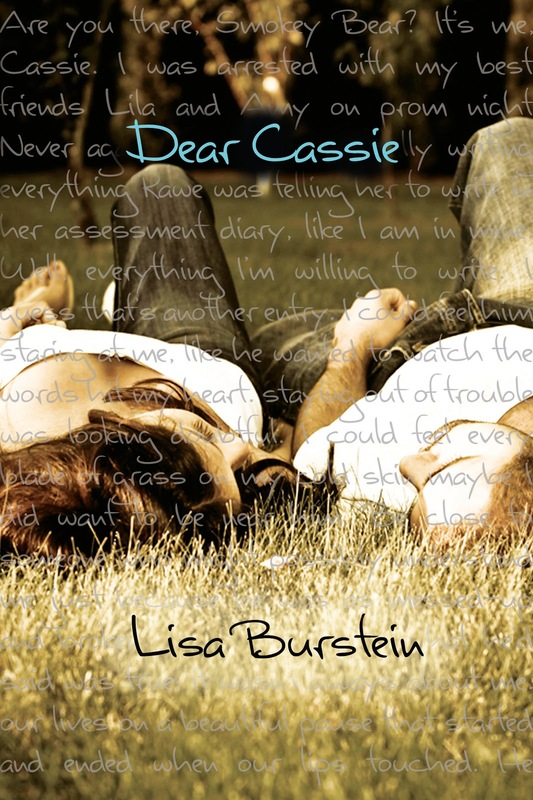 Lisa is hosting an EPIC CONTEST to celebrate DEAR CASSIE’ s cover reveal. Lisa wants you guys to share diary entries of your favorite fictional characters. That’s right, choose ANY character from books, TV, movies, a cereal box and write a 500-750 length diary entry from their point of view. The top five entries will be put to vote. The favorite will be published in the final version of DEAR CASSIE. The additional four will win $20 book buying gift cards. So get diary-ing! Send you entries to prettyamystories@yahoo.com by January 1st! Voting for the top 5 will begin January 7th, with the winner being announced January 14th! I love this cover! So cool with the writing all over, very unique.